Enjoy life like you used to. Beautiful fresh unblemished and line free skin without surgery. Please see our price list for special offers on multiple treatments. You can also contact the clinic to find out about any seasonal offers. 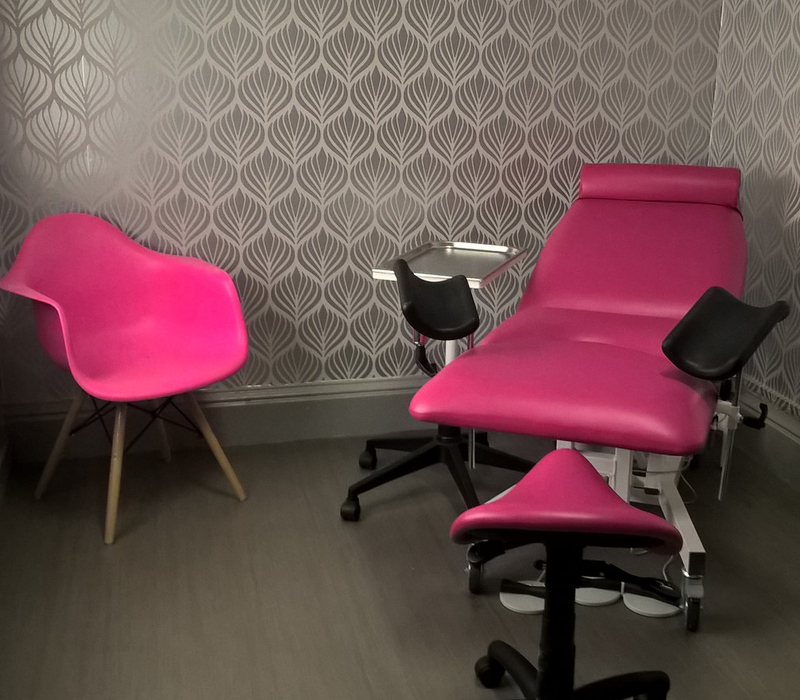 The Women’s Clinic is a specialised clinic run by women for women. From the moment you arrive you will be made welcome, greeted warmly and made to feel comfortable. All consultations are carried out personally by experienced female practitioners who have many decades of experience in the field of medicine and aesthetics. We understand how difficult it is to talk about intimate personal concerns which is why we will give you all the time you need to discuss your specific issues, answering all your questions and advising you on the best possible treatment plan. Intima laser therapy – not only for post-menopausal women. Intima treatments have been demonstrated to significantly restore normal vaginal architecture and environment improving sexual function and urinary symptoms. Let your skin look as great as you feel without the need for Surgery. "I would like to thank you for allowing me the opportunity to trial the Co2re Intima. The procedure was explained to me thoroughly and I had complete confidence in you both, and the procedure, as I have known Amanda for many years and that she would never recommend or use a product that you did not totally believe in yourself. During the procedure I could feel a slight discomfort but no pain, I felt a slight tingling sensation for 20-30 minutes after the procedure. I received excellent after care instruction and really appreciated your telephone calls afterwards. I know that a lot of ladies would be embarrassed to discuss symptoms such as lax vaginal walls and some urinary symptoms which present particularly following childbirth but you made me feel so at ease. This is an absolute must for any lady out there who is having concerns re vaginal laxity, or urinary symptoms. I have read other reviews also and they are so positive, at last there is a treatment that can help with rather than just feeling as though we have to accept such things. I am delighted with this treatment and will have no hesitation in recommending it and both Amanda and Dr. Iwona. Thank you once again. " "I could not recommend this treatment highly enough. It was so easy to do and painfree,and has no downtime at all. Looking forward to being able to go jogging again." Before menopause for 25 or more years we had a wonderful personal intimate life and then at 53 everything changed, and I was shocked at the change, we had gone to specialists and they couldn’t help us. So the issues that concerned us such as very dry, uncomfortable and painful that we gave up completely, and then my husband read an article about the Intima treatment and so we came for a consultation, I have had three treatments so far, and now my genuine improvements are no pain with intercourses and now no issues with dryness and my husband can feel a huge change in how I feel and we are now happily having the intimate relationship we enjoyed before menopause. Amanda Pook, has worked and owned her own Aesthetic Laser Practice for the past 20 years, she purchased her first laser for hair removal in 1999, and has upgraded and invested in many leading lasers since then. Dr Iwona Rendall Reid MBChB, DFFP is a General Practitioner with 22 years clinical experience including obstetrics & gynaecology, Family Planning performing minor procedures in General Practice. Please see our price list for special offers on multiple treatments; please also contact the clinic to find out about any seasonal offers.